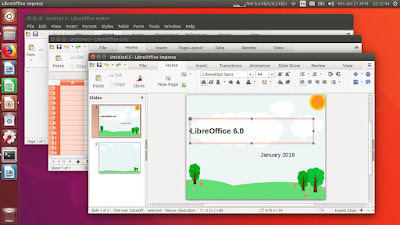 This short tutorial explains how to install LibreOffice 6.0 on Ubuntu and Trisquel GNU/Linux. This assumes you want to replace pre-installed older version with this 6.0 version (thus, do not follow this if you don't want it). As the example, this tutorial uses the pre-release 6.0 development version because the final version is not available at this time (21 January 2018), but don't worry the steps should be the same if you use 6.0 final version later (expected 29 January). You can also install LibreOffice 6.0 on a LiveCD session or a virtual machine to test it. Enjoy! 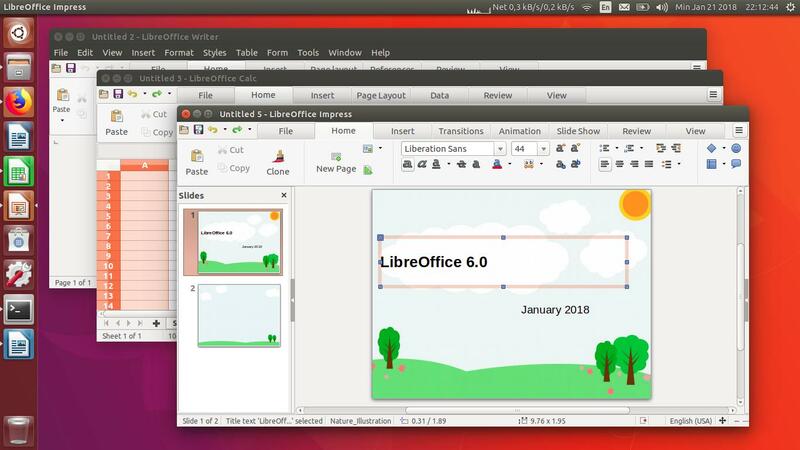 Note: first picture above showing LibreOffice 6.0 RC2 with Notebookbar activated (not default) on Ubuntu 18.04 "Bionic Beaver" with Unity Desktop. 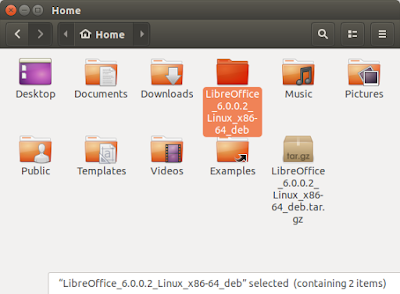 Open your file manager to see the file LibreOffice_6.0.0.2_Linux_x86-64_deb.tar.gz. Right-click the file > Extract here > wait for the file being extracted > extraction finished > you get a folder with same name > you see a folder named "DEBS" inside the extracted folder. 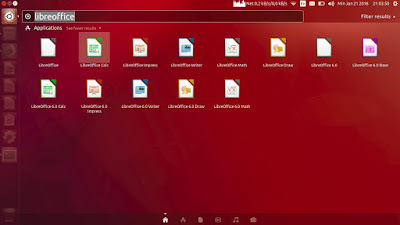 Open your desktop menu and find LibreOffice 6.0 there. Happy working! Installed LibreOffice 6.0 will be placed under /opt folder on your system. 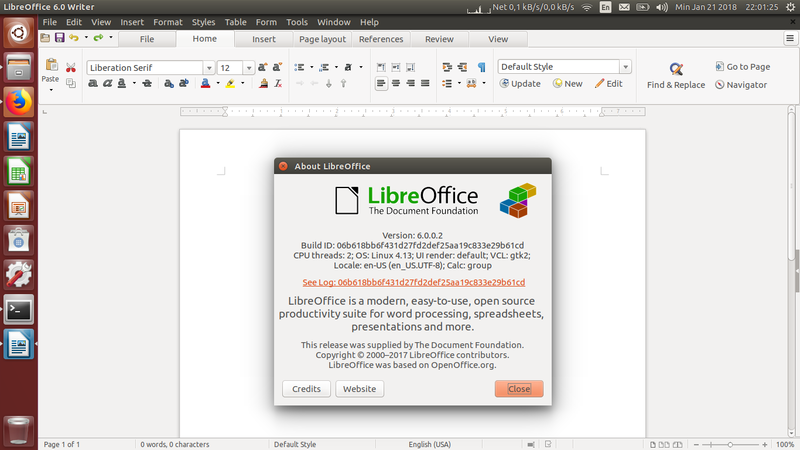 The welcome window is called "libreoffice6.0" and located in /usr/lib/libreoffice6.0. To call modules manually, use command line $ libreoffice6.0 --writer or $ libreoffice6.0 --calc or $ libreoffice6.0 --impress or so. To get help running manually, use command line $ libreoffice --help .